If the Christmas spirit hasn’t hit you yet, this weekend is the time to get in the preseason mood. 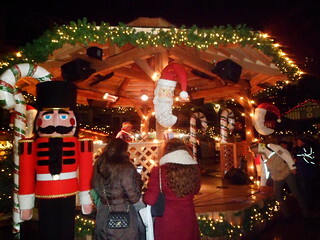 This Saturday, Yaletown is going to be Vancouver’s very own Christmas winter wonderland: CandyTown. The neighborhood’s streets are going to be transformed with lights and candy canes and costumed characters are going to parade down the streets. You can also get an early start on your holiday shopping while browsing through the local stores or the specialty market, offering holiday treats. The whole event is free and open basically all day long, so there’s plenty of time to get into the holiday spirit.